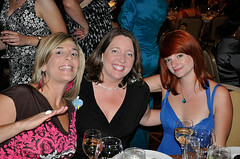 SMPS DC Hits it Out of the Park in Boston! SMPS DC was well-represented at the 2010 Build Business conference, with approximately 30+ members making the trip to Beantown. The Chapter enjoyed comprehensive educational programs and talented speakers, meeting SMPS members from across the nation (and Canada! ), and catching up with our old friend Build Business Larry. When Chapter members weren’t busy attending programs, they were presenting: SMPS DC Board Member Tim Klabunde (WHGA) was selected to speak on Marketing’s Role in the Relationship Development Process and SMPS DC President Pat Ellis (Faithful + Gould) moderated the program, and Board Member Ige Guobodia (US Cost) led a CPSM/Chapter Leadership Panel. Sylvia Montgomery of Hinge also was invited to speak at the conference, her session focused on Professional Services: How Buyers Buy. SMPSDC received 1st place recognition for our quarterly Industry publication. This win was the culmination of two years (and eight newsletters) worth of hard work from the Chapter’s PR/Communications Committee lead by Chairs Emily Boyd (AECOM) and Frankie Bailey (McDonough Bolyard Peck). Thank you to our members who served as contributors, editors, and promoters – your efforts did not go unnoticed! PR/Communications committee members Erin Orr (Fox Architects), Deborah Hayward (Studio39), and Frankie Bailey. We’ve done it again! 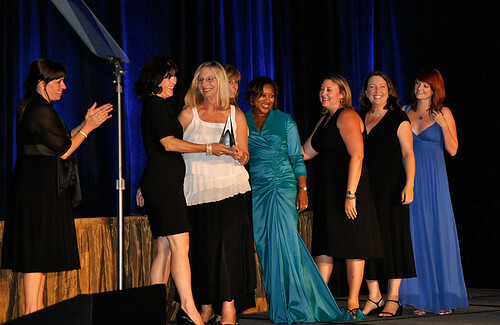 For the second year in a row SMPS DC was honored to be recognized as a leading chapter by SMPS National. Submitting for the Striving for Excellence (SFE) award is a complex process, and results of programs, communications, member services, and growth must be tracked throughout the year. Congratulations to the SFE Committee, special thanks to Deborah Hayward for pulling together three amazing submittal designs, and Alison Carney, CPSM (Balfour Beatty) for guiding the SFE Committee to success. In conclusion, there is much to celebrate and we hope Chapter members are proud of what we have all accomplished in the past year - SMPS DC is an award-winning chapter three times over! Look to the new Board coming in and get involved because 2010-2011 will be a great year.